We recently featured King Rhythm’s hip hop tribute to David Bowie, “Bowie In Space”. 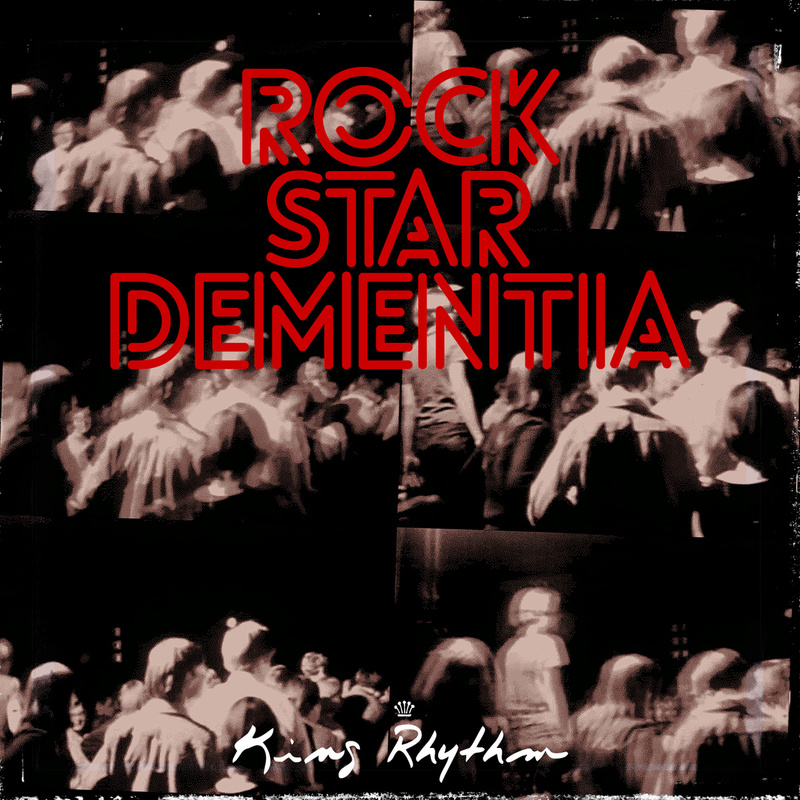 Now you can get his latest full length album, “Rock Star Dementia” for free via bandcamp. The album continues in the same vein as “Bowie In Space”, mixing up left-field hip hop with classic alternative rock influences. This mix of influences has created a truly unique sound, it’s like a punk rock, hip hop, new wave, psych out fest. Sound interesting? It is. This is definitely an album for fans of experimental music, boundary pushing hip hop (think Anticon), and music that isn’t just simply the normal, same old same old. Even better it’s all yours for free. Grab it now. San Francisco Street Music, SFSM for short, are a hip hop crew straight off the streets of San Franscisco, as I’m sure you have guessed. The group have been releasing independent hip hop since the early 90’s, building SFSM into a collective of like-minded artists. 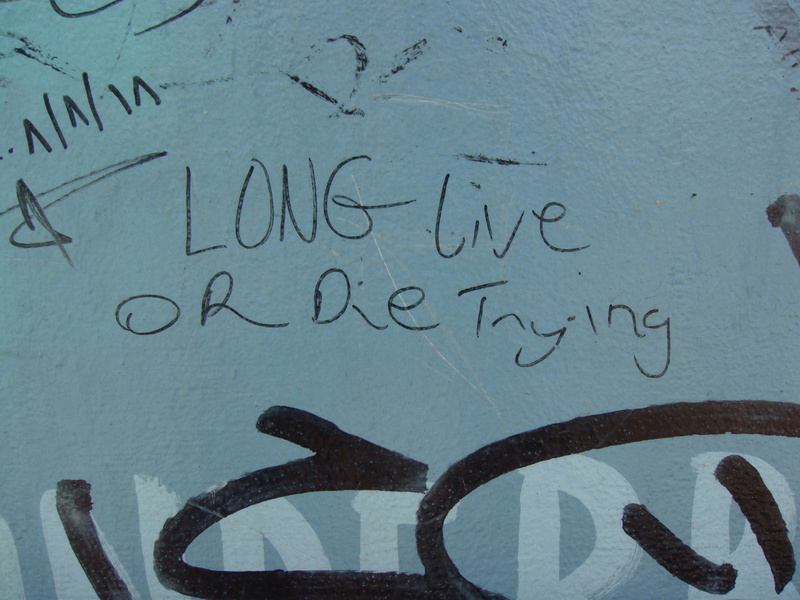 Now in 2014 they have unleashed their new album, “Long Live Or Die Trying”. 1o tracks deep this is classic, funky as hell, head nodding hip hop. Being “old school Frisco cats” they know how to rock a party both on the mic and on the beats. The bring a nice diversity to this album, interesting topics are touched upon and the beats are varied, without straying too far from that classic sound. Definitely one for all the real hip hop heads out there. For nearly a decade, Tycho has been known as the musical alias of Scott Hansen, but with the release of ‘Awake’ – his second LP for Ghostly International – the solo project has evolved into a three-piece band. Reaching an entirely new realm of sonic possibilities recording with a live band, ‘Awake‘ is situated in the present, reaching Hansen’s vision of Tycho like never before. 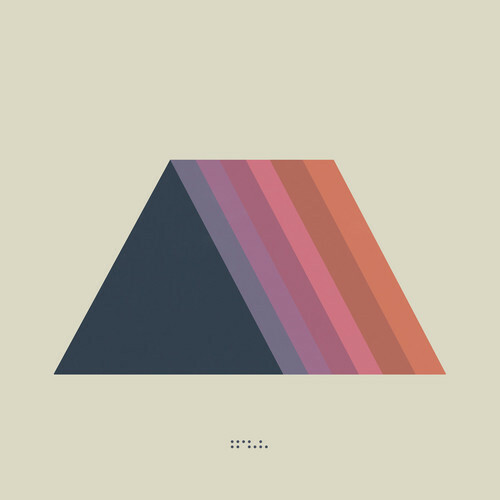 “This is, in many ways, the first true Tycho record”. “Montana” is part indie, part electronic, with an upbeat shoe gazer sound, if there is such a thing? Vocals could easily sit on top of this music, but thankfully Tycho has let the music speak for itself. Giving you room to get wrapped up in the intricacies of sound and be taken on a refreshing musical journey. We look forward to hearing the album, out on the 17th of March. We recently posted about the new, forthcoming Malachai album, “Beyond Ugly”. Well today the first track to be released from the album has emerged, “I Deserve To No” is an Asian influenced, psyched out belter of a track. Check out the video below and keep your eyes open for their third and possibly, final album. This is an interesting one, back in 2008 turntablist DJ Woody got together with 808 State drummer Carl Sharrocks (aka Clicktrax) and recorded this EP. It feature collaborations with Bronx rapper Charlie Victor and session work from some of the UK’s finest players including Matthew Halsall, Finn Peters and Christian Madden of The Earlies. 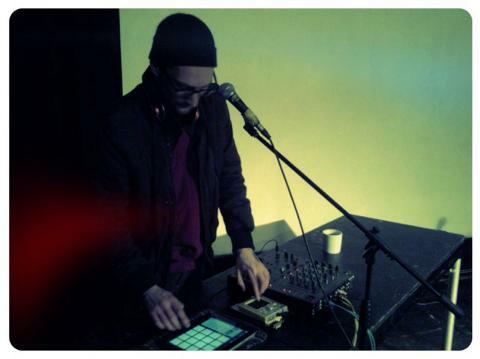 It’s a nice mix of left-field hip hop, electronica, jazz and more, oh and it’s all your now for free! 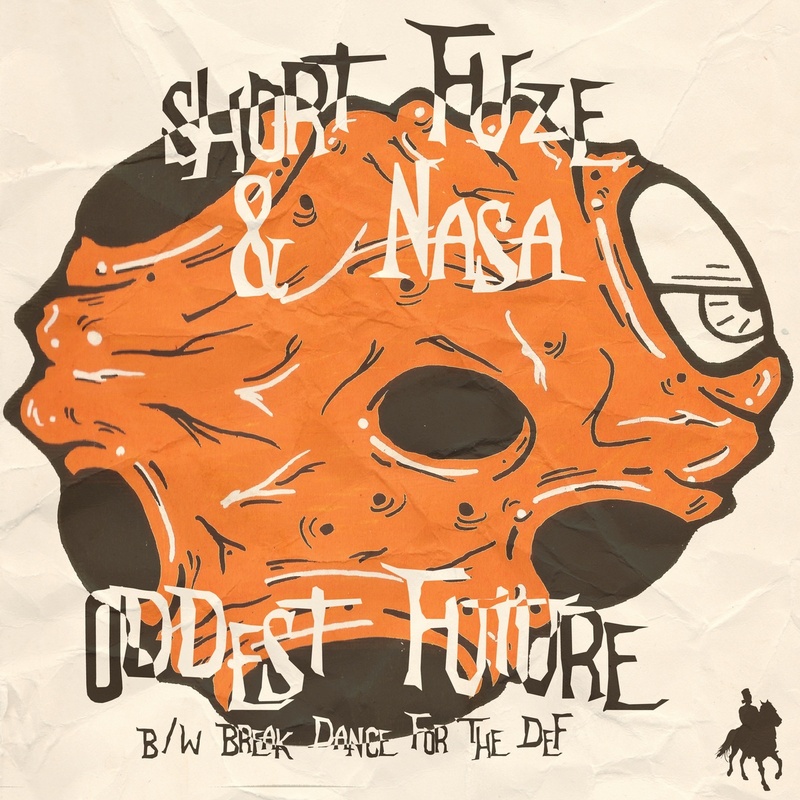 New York producer Nasa has once again teamed up with Short Fuze for the, “Oddest Future” single.The duo originally teamed up back in 2010 for the underground classic, “Lobotomy Music” , mixing up hard hitting beats and equally hard hitting and stylish rhymes. This new single, features two tracks, “Oddest Future” and “Breakdance For The Def”, as well as instrumentals and accapellas for both. “Oddest Future” really lives up to it’s name, futuristic, space aged hip hop at it’s best. Where as “Breakdance…” comes off on a more rocky, funky tip, while still pushing new and interesting ground. This single should tide you over until the next full length album drops later this year. White MIC is a member of San Fransisco hip hop group, Bored Stiff, who have been active on the underground since the early 90’s. After a 10 year hiatus, MIC released his first solo album, “The Neighborhood Visitor” in 2011. Since then he has released “The Vegetable and The Ferret” EP, a collaboration with One Block Radius member Z-Man. In 2012, MIC collaborated with Del & Andre Nickatina on the, “I’m Not Lonely” single and dropped another full-length solo album, “Fightin Off Success”, which featured The Grouch of Living Legends, Sadat X of Brand Nubian, Casual of Hieroglyphics. In 2013 he came with the the follow-up to The Vegetable &The Ferret entitled “The Vegetable & The Alien”, a collaboration with SF MC Agent Striknine which featured MF Grimm, Self Jupiter of Freestyle Fellowship, Moka Only, Count Bass D & 0ther artsts. 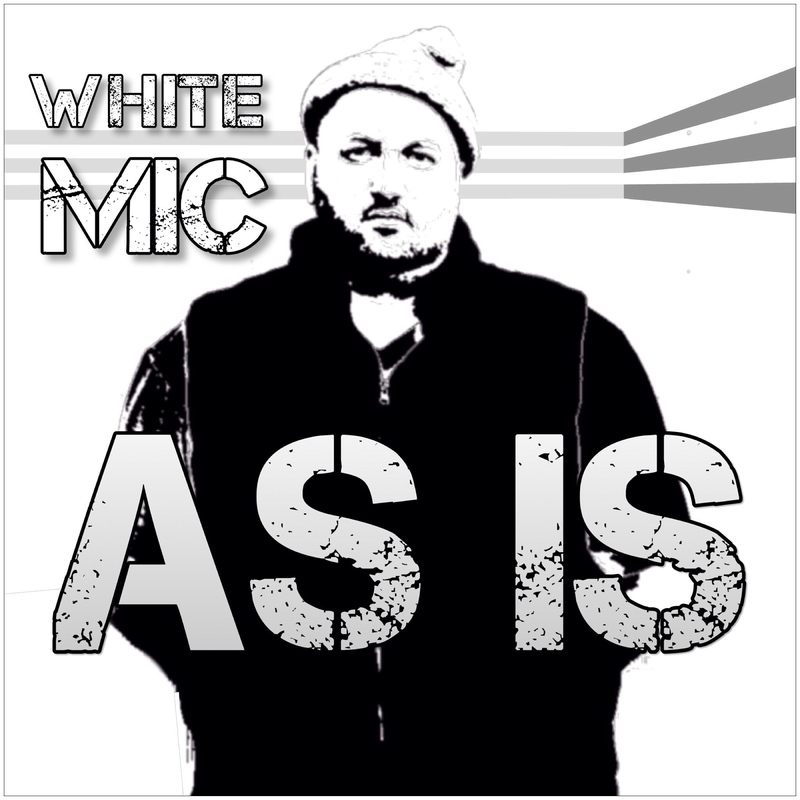 So to put it simple, White MIC has a hell of a lot of game on the underground!Now he is set to release his brand new album, “As Is”, the album features the likes of Pep Love, Fatlip, Scarub of Living Legends and more. The album is a great reflection on hip hop from someone who has lived the life, taken the industry blows, had the success and the knock backs. It appeals to the older heads, as well as the young ones wanting to hear more of that good old boom bap. Plus it’s nice to hear hip hop coming out these days that isn’t trying to be gangster, or talk gun talk and is proud of it too. Don’t sleep! As soon as we mention one release, I Had An Accident Records are at it again. This time the cassette album comes from US rapper Bloodmoney alongside producer Morbidily-O-Beats. 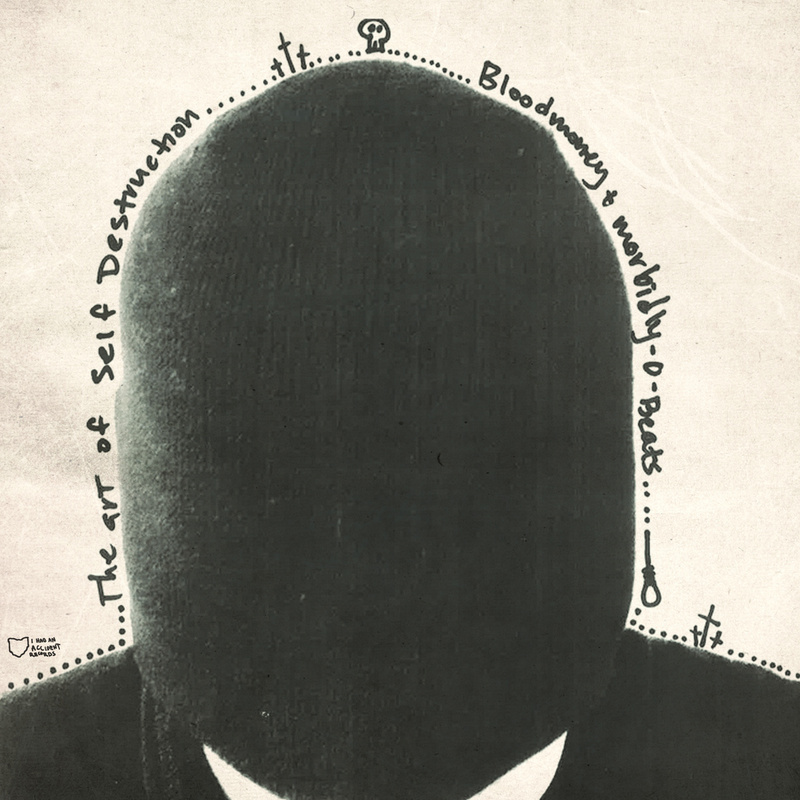 “The Art Of Self Destruction” is a collection of off-key, experimental, dark hip hop, exactly what you’d expect to hear on IHAA judging from their past releases. The album is release on both cassette and digitally on Feb 11th, but you can download the track, “Please Help Us” for free from Bloodmoneys soundcloud page now. Marc Jensen aka producer Marjen, has just released a tasty new, self titled album on a limited cassette. 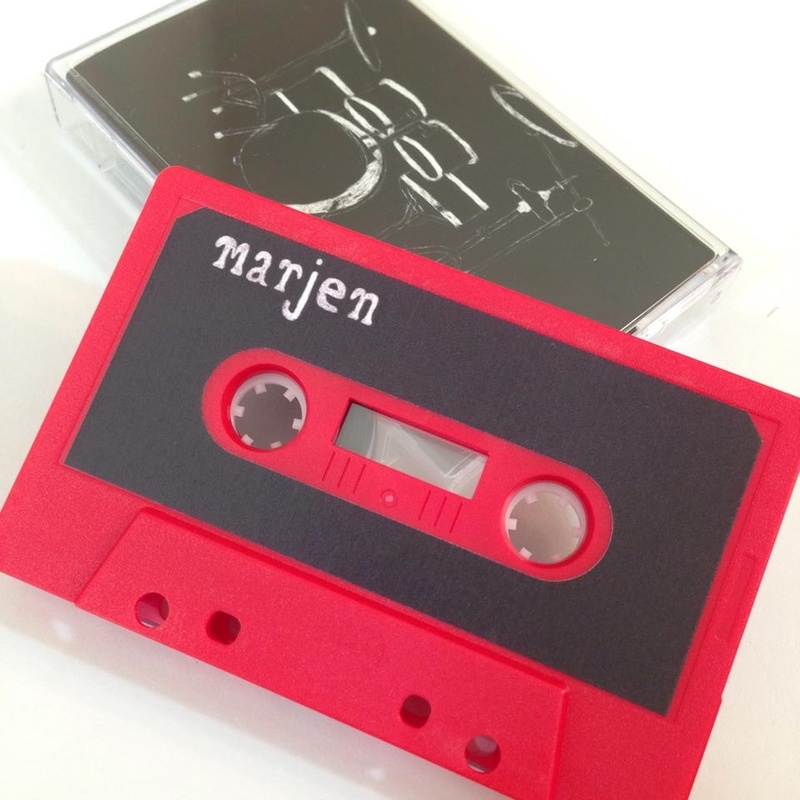 The “Marjen” cassette is out now on I Had An Accident Records, the same people who put out the recent Boomruin tape, and a whole load of other good stuff too! Grab the limited cassette tape now, only 80 made, or grab the download via bandcamp.